The Rangers will look to regroup against the Canadiens tonight for the start of a four game homestand. Photo courtesy of MSG Photos. Tonight brings another tough test for the New York Rangers (27-14-4), as they take on another Eastern Conference rival in the Montreal Canadiens (30-13-3) at the Garden. Following a 4-1 loss at the hands of the Islanders, the Rangers will contend with another speedy and skilled team that happens to be one of the top teams in the East. The Rangers have played the Canadiens twice this season, splitting the games with the home team winning both. The Canadiens won the first game at the Bell Centre 3 to 1, with Carl Hagelin scoring the only Ranger goal, and Carey Price making 34 saves. 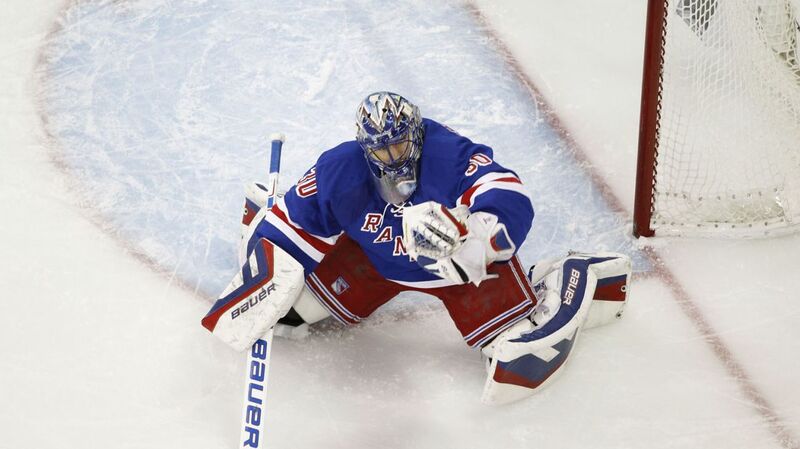 The Rangers countered with a 5-0 win at Madison Square Garden, with Henrik Lundqvist stopping 21 shots for the shutout. Five different Rangers skaters had goals, with Hagelin also scoring in that game, and Martin St. Louis picking up a goal and an assist. The Rangers have had a lot of success over the past seven weeks or so, winning 16 of their last 20 games to surge in the rankings, but are just 3-3-0 in their last six games. Tonight’s game is the start of a four game homestand, and it presents a great opportunity for the Rangers to start playing more consistently and string together a few wins. The Rangers have won nine of their last 11 home games (9-2-0). The Rangers did not play their best hockey against the Islanders, with the opponents capitalizing on many of their errors and scoring four goals in the process. The Rangers had way too many turnovers, and needed to put more pressure on Jaroslav Halak, who make 40 saves on 41 shots. Alain Vigneault discussed this, stating that the Rangers need to control the puck better, and get to the “dirty” areas of the ice to generate sustained pressure on Canadiens goalie Carey Price and create sustained pressure off of rebounds and other chances. The Rangers will face another strong goaltender tonight in Carey Price, who is fourth in the NHL with 25 wins this season. Photo courtesy of Getty Images. Montreal comes into tonight’s game with a three game win streak, and Carey Price has been a huge part of their success this season. Over the course of the last three games, Price has allowed just five goals, and making a total of 90 saves in those games. 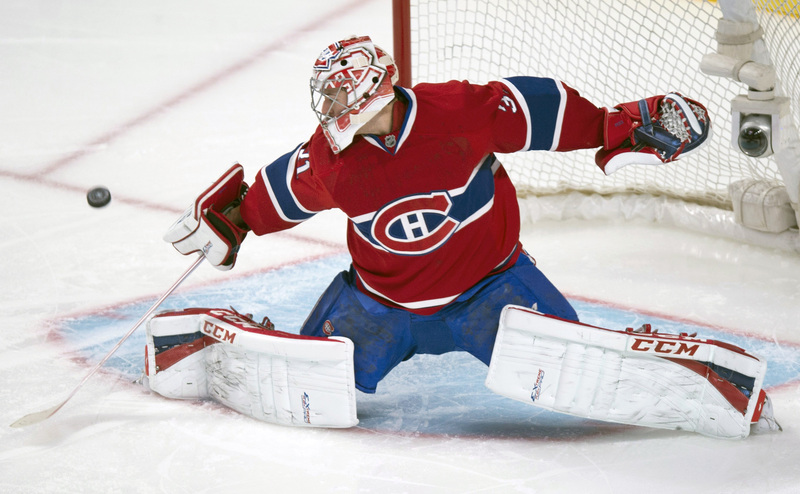 Price has an impressive record of 25-10-2 this season, and is fourth in the NHL in wins. He is also fifth in the NHL with a 2.15 GAA along with a 9.29 save percentage. Price is also a big reason why the Habs have given up the least amount of the goals in the Eastern Conference (108). During the win streak, Montreal has scored 11 goals, with 5 of them coming on the man advantage. Needless to say, discipline and staying out of the box will be key for the Rangers. Max Pacioretty leads the team with 38 points (21-17-38), and also leads the team in goals. PK Subban leads the defensemen in points, tallying an impressive 32 points (11-21-32) so far. For the Rangers, Henrik Lundqvist will get the start in net. Lundqvist was impressive against the Islanders, making 34 saves on 38 shot attempts. Lundqvist was under heavy fire for most of the night, facing 17 shots in the first period alone. Lundqvist is 23-10-3 with a 2.30 GAA and a .920 save percentage. Henrik Lundqvist will be between the pipes for New York, looking for his 24th win of the season. Photo courtesy of MSG Photos. Dominic Moore was bumped up to the third line by head coach Alain Vigneault for this game in an attempt to try and get more scoring from the bottom six. Carl Hagelin and Lee Stempniak will play the wing positions, with JT Miller a healthy scratch. Moore and Hagelin already have excellent chemistry from working together on the penalty kill, and has skated with Stempniak on the fourth line at times this season. Dominic Moore has spent the majority of the season centering the fourth line, putting up 13 points (3-10-13), which is solid considering he has played a majority of the season alongside the offensively inept Tanner Glass. Getting bumped up a line gives Moore the opportunity to work with Carl Hagelin at even strength, as well as get more involved in offense. Moore is also the Rangers best faceoff man, currently sitting at 54.7 percent this season. With Dom Moore now on the third line, he will be given a chance to take more offensive zone faceoffs, giving New York an opportunity for more shots and increased offensive possession, something that could really benefit the Rangers. Dominic Moore is excellent in the faceoff circle, and will give the third line more opportunities for sustained offensive pressure. Photo courtesy of MSG Photos. John Moore will make his return to the lineup for the Rangers, with Matt Hunwick a healthy scratch. John Moore will skate on the third defensive pairing, but was with Dan Boyle during practice, as he has been struggling as of late. Kevin Klein was paired with Marc Staal on the second pairing. The Rangers will also be looking to players like Mats Zuccarello to start scoring more goals. Zuccarello has just one goal in the last 17 games, but does have 9 assists in that span. Martin St. Louis is second on the Rangers in points, but has not scored a goal in six games. The Rangers will also need production from him tonight against a strong Montreal team. 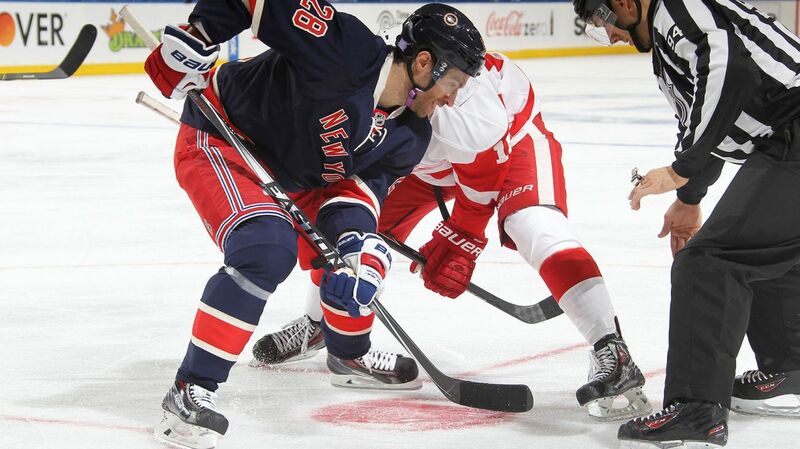 The Rangers and the Canadiens will face off at 7 PM at Madison Square Garden. The game will be broadcasted on NBC Sports Network. Posted on January 29, 2015, in Game Previews and tagged Alain Vigneault, Cam Talbot, Carey Price, Carl Hagelin, Chris Kreider, Dan Boyle, Dan Girardi, Derek Stepan, Derick Brassard, Dominic Moore, Henrik Lundqvist, Islanders, Jesper Fast, John Moore, JT Miller, Kevin Hayes, Kevin Klein, King Henrik, Lee Stempniak, Madison Square Garden, Marc Staal, Martin St. Louis, Mats Zuccarello, Matt Hunwick, Montreal Canadiens, MSG, MSL, New York Islanders, New York Rangers, NHL, NHL 2014-2015 Season, NHL All Star Game, NY Rangers, NYR, PK Subban, Rangers, Rangers Nation, Rangerstown, Rick Nash, Ryan McDonagh, Tanner Glass, The Ranger Zone. Bookmark the permalink. Leave a comment.